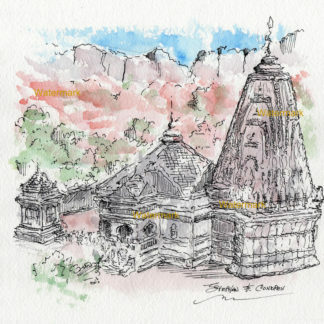 Taj Mahal #2959A pen & ink watercolor landmark painting, which is for sale here, at discount with prints by artist Stephen F. Condren, SAIC, of Condren Galleries, a Fine Arts Gallery, offering JPEG & PDF prints. 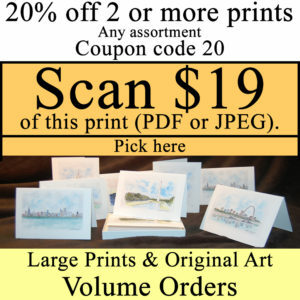 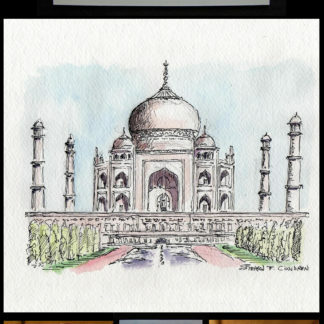 Because the Taj Mahal is great, it’s prints are great! 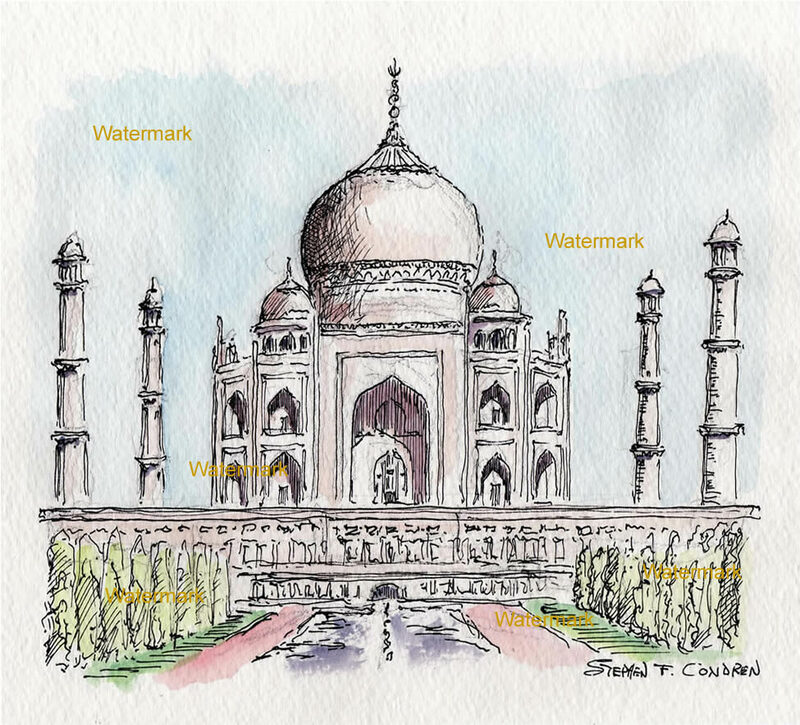 Watercolor painting with pen & ink of the Taj Mahal by artist Stephen F. Condren. 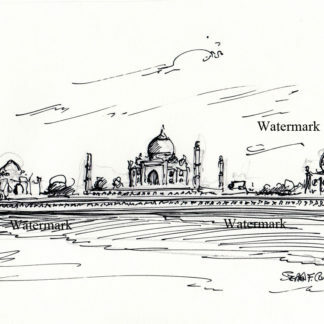 The Taj Mahal in Agra, India, has been proclaimed throughout history as the most beautiful building in the world. 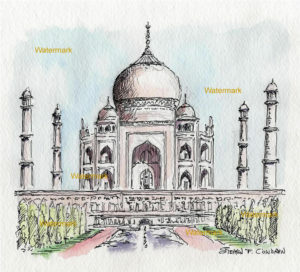 Made of marble and inlaid with incredible hand craftsmanship this structure is truly worthy to be called the most beautiful building in the world. 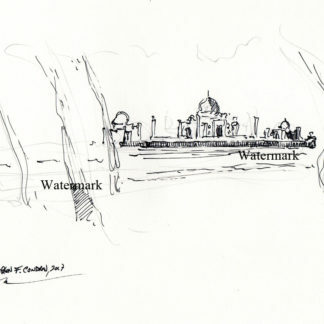 In recent time cracks in the dome have been sited.